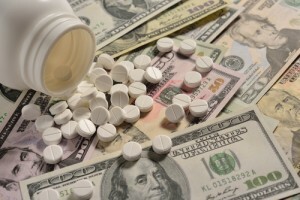 As the result of litigation wrongdoings a federal judge called egregious, Pradaxa manufacturer, Boehringer Ingelheim, was hit with a fine in the amount of $931,500, approximately $500 per case. Let me tell you: this does not happen every day. This is a harsh sanction and it underscores that this company is either negligently or intentionally failing its discovery obligations. Will this benefit Boehringer Ingelheim more than the measly, in the general scheme of things, million bucks? It might. Man. This is pretty harsh language. The court was obviously none too pleased. This is the legal equivalent of screaming at someone. Did I mention that this is really bad? It is. Let’s bring in some context. Judge Herndon said that this was only the third time in his fifteen year career as a federal judge that he has had to take such a harsh action. I’m betting those other times were against “some guy” and not a major pharmaceutical company. Pradaxa, a blood thinner used by patients with atrial fibrillation or irregular heartbeats, first came under fire in December 2011 when the FDA first announced a safety review for the drug. During 2011, the FDA received at least 3,781 reports involving serious injuries associated with the use of Pradaxa which included 2,367 reports of hemorrhage and 542 deaths. In 2012, at least 3,292 adverse reports were received including at least 582 deaths. There was no way to control bleeding that may have unexpectedly occurred following emergencies such as trauma or emergency surgery. Lawsuits have been filed alleging that the drug caused excessive bleeding without warning causing serious injuries and the deaths of many innocent people. Possible good news was announced in November this year – researchers may have identified a reversal agent for Pradaxa. Though not yet approved by the FDA, studies were conducted in which those receiving the new antidote had a complete reversal of Pradaxa’s anti-coagulation effects following a five-minute infusion of the agent. Looking back at the current lawsuits filed against Boehringer Ingelheim, Judge Herndon established an aggressive discovery schedule. The early Pradaxa trials, “Bellwether” cases, are expected to begin next year. The first is scheduled to begin on August 11, 2014, with trials following on November 3, 2014, January 5, 2015, and February 16, 2015. Allow me to make a prediction. Boehringer Ingelheim is not going to let these case got to trial and is going to settle all four. Because if they go to trial, the results might be ugly and the settlement price of these cases might fly through the roof. Have you or a loved one had problems from side effects of Pradaxa involving serious injury or death? Call us and we can explain to you what options you have, whether you want to hire us or not. Contact our attorneys at 800.553.8082, or online here. We have been writing about these cases from the very beginning. Below are status updates to keep victims apprised of what is going on in these cases.